Name Dismember should be well known for any Death Metal fan, and if you’re a Dismember fan, name “Live Blasphemies” should be well known to you. Finishing their 2003 “Death Metal” campaign all over Europe, Dismember played last concert of the tour in their hometown of Stockholm. Fortunately for all of us, they decided to hire the right people and record the whole thing professionally, and I have to say that this is probably one of the best concert DVD’s out there. Dismember put themselves ahead of the pack by giving all the best there is out there when it comes to viewing concert DVD. Widescreen format shows full view of the stage, so the whole band can be seen performing and nothing can get missed. Everything was recorded with multiple cameras so we can view the concert from every part of the venue, all directions, distances and all kinds of different angles. Directed and put together in a way that shows the intensity of performance, professionalism of the band and passion not only of musicians but also the fans (just watching most of the headbanging on this DVD almost gave me a whiplash!). Fantastic lighting accompanies and enhances Dismember’s performance, allowing things to be seen when they need to be seen, but the real treat is the sound. Way too many times I’ve watched DVD’s that looked awesome, but sound on them destroyed or lessened the experience. Dismember sounds incredible from beginning to the end, both individually and as a whole. Song choices span their entire career and it is a pleasure to listen to all the classics in such a great quality. Drums, guitars, bass and vocals all sound audible but still harsh as they should at the concert. Menu choices give you Stereo, Dolby 5.1 or DTS and all of them sound amazing. This DVD should be used as an example of how to record sound and video at the Death Metal concert. Both thumbs all the way up! Disc two is the documentary - and this is a pure bonus for fans of the band. Matti, David and Fred get interviewed and give full history of the band (in Swedish, but subtitled of course) with their own comments and all kinds of stories from back when they started the band up to the present (missing lyrics, censorship, name origins and such). Interview section is cleverly intertwined with raw concert videos from early days all the way up to the 2003 tour, after show backstage with the band, some really funny drunken related tour footage with all the jokes attached and occasional appearances of some known members of bands they toured with (conversation about church burnings with Dan Lilker from Brutal Truth being my favorite). Priceless! DVD also includes: History of the band and current members, Dismember discography, DVD credits, image gallery and subtitles (Matti talks in Swedish through the whole concert), chapters and audio options. 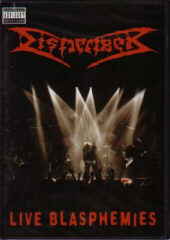 Dismember- “Live Blasphemies” (concert and the documentary) is one of the best concert DVD’s you can buy and I highly recommended it not only to the fans of the band but to all fans of Death Metal. 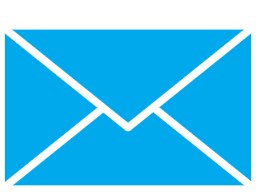 Check it out and get Dismemberized.